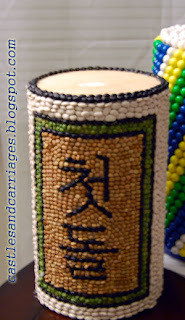 This is my tutorial on making the dol towers (also called dol go im) you see decorating the tables on Korean first birthday celebrations. Let me first say that my favorite dol towers were made by Julia for her daughter Yuna. She used 6" wooden rounds and poster board to make her towers. Julia discusses her party at length at Korean1stBirthday. 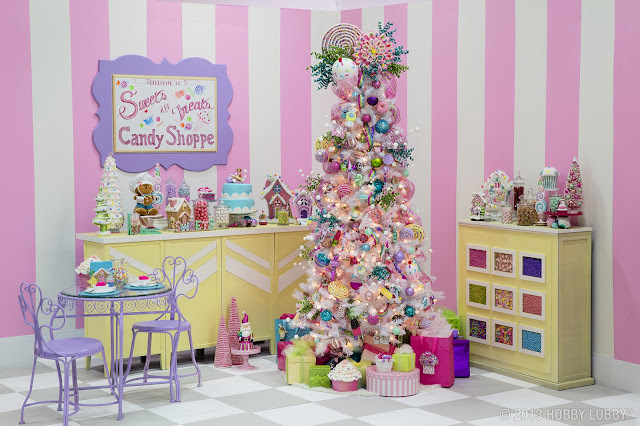 She used nerd candies to make the butterfly tower on the right -- now that is dedication. So far I have come across four different ways to make dol towers. You can use empty oatmeal/breadcrumb canisters, paper towel rolls, concrete pouring tubes (see that tutorial HERE) OR you can create your own dol towers as Julia did above. This is what I am going to show you now. Julia used 6" wooden rounds from Micheal's. I am using 7" wooden rounds from Joanne's. Some of you may be wondering why I wouldn't go with the other options. 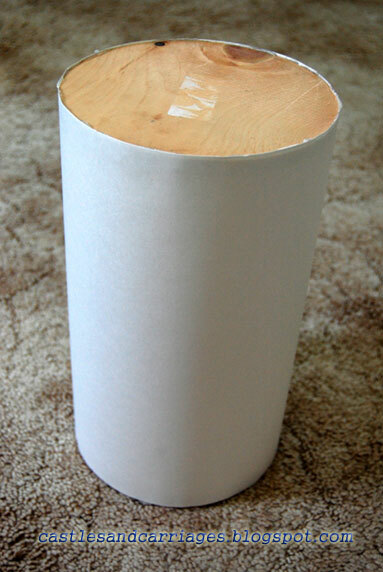 The concrete tube option is nice looking (see below) but it's still too fat for my taste and table size. Here is a comparison shot of my 7" round dol tower and the 8" concrete pouring tube. Even though it's just one inch, there's a significant difference in the sizing to me. Also keep in mind that the bigger the tube, the more time and money you'll be spending gluing beans or candy. For example, 7 lbs of mini-gum balls were used on one of my completed towers. Since I want my towers to last beyond just this one party I am not comfortable with the paper towel roll route but to each their own. On to the tutorial! Precautions: When using a high temp glue gun make sure your work area is well ventilated and that you have a work area that can withstand the hot glue drippings. 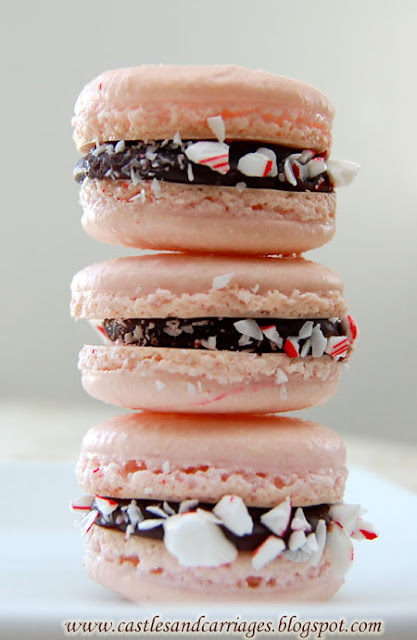 Ready to make your own dol towers? Here we go. 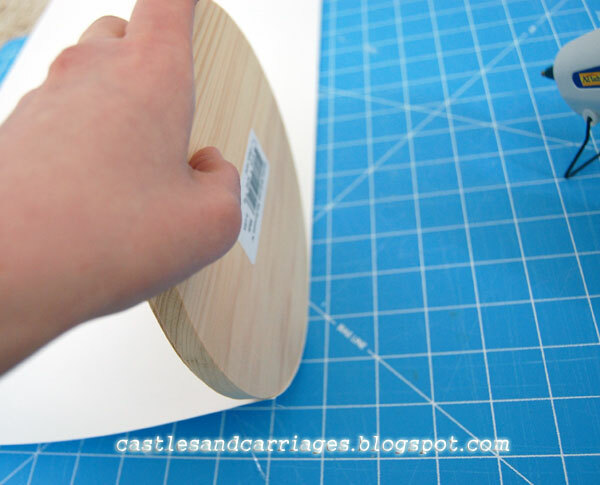 Place a little bit of glue on the flat edge of the wooden circle and place firmly on edge of poster board. Hold for a few seconds. 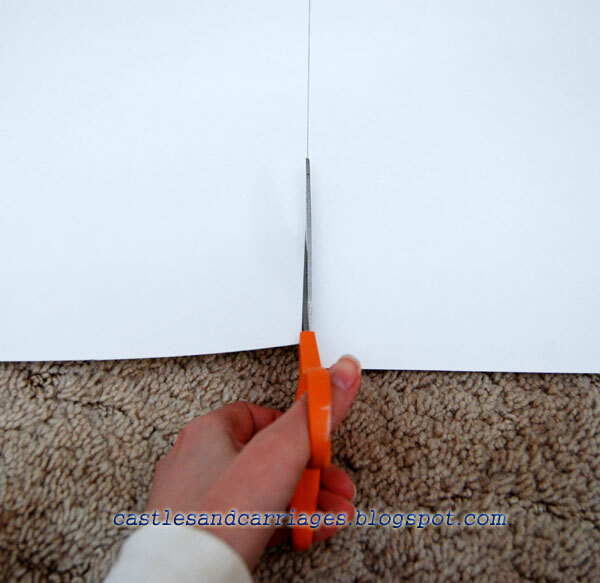 Use more glue then roll the wooden round onto the poster board. Repeat on the other side. Now your two wooden rounds glued onto your poster board should look like this. Flip the board so that you can roll the wooden circles towards you. 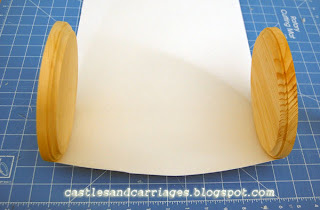 Place the hot glue onto the poster board and roll the wooden circles. 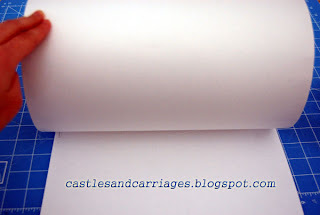 Keep the paper taut otherwise your paper will not glue on nicely. Be sure to check the wooden circles that they are not crooked, leaning in etc. When you’ve gone completely around the wooden circles begin to add glue not only to the edges but in the center of the poster board. You don’t want any areas bulging out! Glue edges of the paper together to make a nice flat surface. Allow glue to harden and cool. Now you have your first dol tower! 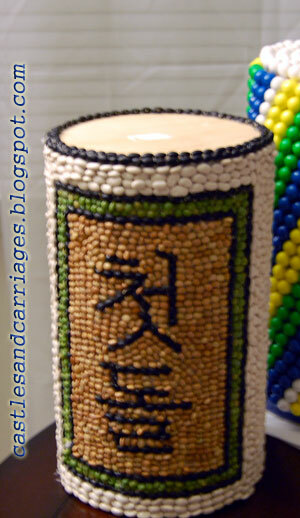 Check out Korean1stBirthday for your free dol tower printable in the DIY section. Center and glue your chosen design template on. 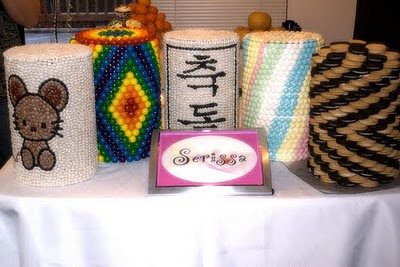 Then you can begin gluing on your chosen decorations be it beans or candy. After the glue has hardened and cooled spray a coating of shellac to protect your candy or bean towers. Spring Blossoms and Little Man's First Playdate!